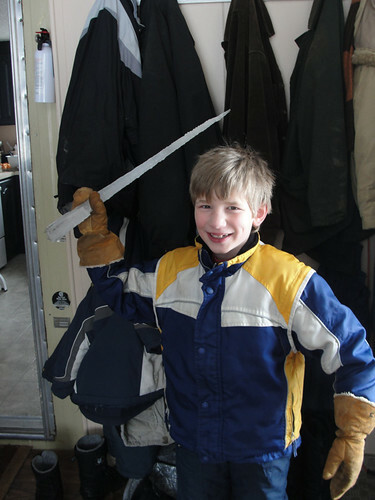 Winters' Day In: En garde! All that snowy weather has been followed by several days of warm sunniness, leading to that fun bi-product of thin, poorly-insulated ceilings--icicles! Yup, I DO like his winter shag! 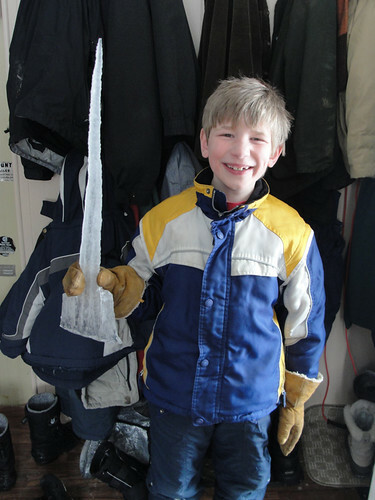 And the icicle looks like a Star Wars sword.